Archery GB is governed by a Board consisting of Elected Directors, Independent Directors and the Chief Executive working within Archery GB’s Memorandum and Articles. The Board is supported by the following officers who attend Board meetings but do not vote: Board Minute Secretary, Company Secretary, and President. We are now seeking to appoint a new Company Secretary. The Board has particular regard to the Code for Sports Governance and associated guidance. Board Directors exercise their power with due regard to relevant obligations under prevailing law and regulation, including the Companies Act and Archery GB’s Articles. The Board’s key role is to provide strategic guidance to the organisation and its Executive thus protecting the interests of members and relevant stakeholders. Upon the retirement of the current Company Secretary, Archery GB is seeking a replacement. The role of the Company Secretary is described below. The position will be largely home based with required attendance at 6 Board Meetings per year (currently held in London and Birmingham on Saturdays) and the AGM. Preparation for meetings, supporting the Chair and other Board members and advising on governance matters means that there is a likely average time commitment of approximately 1 day a week for this role. Remuneration will reflect the skills and experience of the appointee. The appointment will be on a contract basis for one year and then annually renewable. The Company Secretary has a key role to play in ensuring that Board procedures are both followed and regularly reviewed. The Company Secretary should also strongly support the Chairman in ensuring the effective functioning of the Board. As an officer of the Board, the Company Secretary will also work within the same rules as a Director, for example, the Companies Act and Archery GB’s Memorandum and Articles (including conflicts of interest). 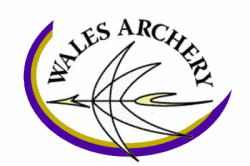 By email to company.secretary@archerygb.org. Applications should include a full CV and covering letter matching your skills and experience to the above. Interviews January 2019 – date to be advised.